Michael graduated from Boston University’s Sargent College of Health and Rehabilitation with a BS in Exercise Physiology. 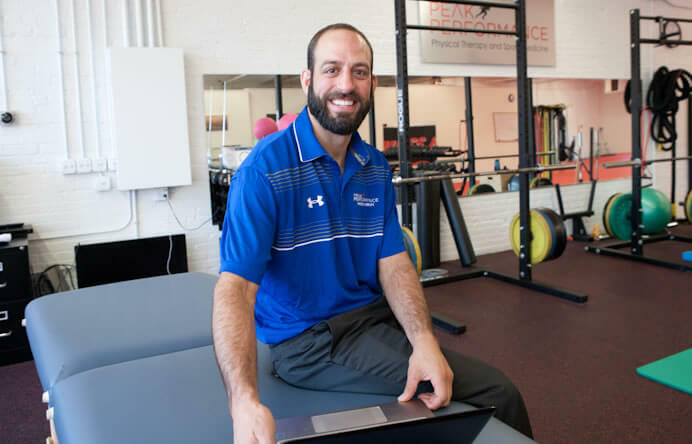 While in school, he worked at Mike Boyle’s Strength and Conditioning in Winchester, MA mainly training high school and collegiate athletes in preparation for their upcoming sport seasons. After Michael graduated from BU he took a position at Harvard University as an Assistant Strength and Conditioning Coach. Here, Michael worked with every D1 athlete on all 41 intercollegiate teams and was directly responsible for several team’s program design and implementation. 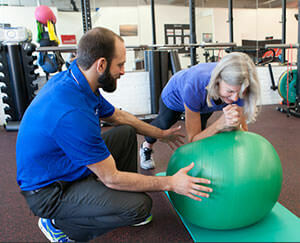 Michael left Harvard to accept a personal training position in Southern California at Spectrum Clubs in Redondo Beach. There he worked with clients as young as 14 and as old as 78, and took his functional approach with athletes to the general population. After fine tuning his skills as a 1-on-1 trainer, he worked his way up to most sought after trainer at Spectrum but was determined for more. He enrolled in Drexel University’s Doctorate of Physical Therapy program to continue to evolve his education and skills as a musculoskeletal specialist. While in school, he started an independent personal training/strength and conditioning business, trained individual/group clients, ran an outdoor Bootcamp, and taught Brazilian Jiu Jitsu at his friends academy. After years of hard work the evolution is complete. Michael has over 10 years of experience and really enjoys helping people achieve their goals. He maintains relationships with local Orthopedic Surgeons and is still on staff at New England Baptist Hospital, one of the best Orthopedic Hospitals in the world. Michael practices what he preaches. He is a black belt in Brazilian Jiu-Jitsu, accomplished rock/ice climber, and competitive Xterra Triathlon athlete. He will not only help you achieve your desired goals, but will help motivate you to exceed them.